Next November Rio de Janeiro will be hosting the AdventureNEXT Latin America, one of the world’s main events of ecotourism and adventure tourism. The forum, which brings together hundreds of professionals from different countries, is organized by the Adventure Travel Trade Association (ATTA) and aims to develop tourism in destinations with a vocation for adventure tourism. “The fair brings content, business roundtables and experiences to those who want to know more about this segment. Today, Brazil is one of the main destinations for ecotourism and adventure tourism”, says ATTA director, Gustavo Timo. When the clock strikes 8 AM, on May 5th, Rio de Janeiro and 66 other cities around the world will start the fight to cure for spinal cord injury. It is the sixth edition of Wings for Life World Run, a yearly street run that has gathered over half a million people and whose purpose is to raise funds for scientific research. In 2018, three million were raised across the globe. The sixth edition of the Rio Open, the largest tennis tournament in South America, begins on the 18th at Jockey Club Brasileiro, in the South side of Rio de Janeiro. For seven days, the public will see the play of names such as Austrian Dominic Thiem, number 8 in the ATP rankings, defending champion Diego Schwartzman and Italian Fabio Fognini, a favorite of the Brazilian public. Tickets are available online at www.tudus.com.br/rioopen, worth from $ 30 to $ 490 Reais. Rio de Janeiro will host, from February 15th to 17th, the 2019 Basketball Intercontinental Cup at Olympic Park’s Carioca 1 Arena, at Barra da Tijuca, West side of town. The competition, organized by FIBA Americas, will feature Flamengo (Brazil), Austin Spurs (USA), current NBA G-League (development league) champions, San Lorenzo (Argentina), reigning title holders of the DirecTV Liga de las Americas and AEK (Greece), reigning title holders of the Basketball Champions League. Ever thought of joining the biggest LAN party in the world? The 2019 edition of the DreamHack Open of Counter Strike: Global Offensive lands in the city of Rio de Janeiro for the first time, right in the Olympic Park, from April 19th to the 21st. The organization, which also confirmed the 2020 and 2021 editions, starts selling tickets on January 5th. 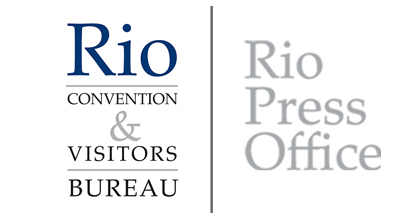 Rio de Janeiro begins 2019 hosting an unprecedented event. The final stage of the biggest street skateboarding championship on the planet, the Street League will be held at the Arena Carioca 1, in Barra da Tijuca, in the Western Zone of the city. About 70 athletes, men and women, will be on their skateboards from January 8 to 13. A brand-new track will be especially built for the competition. Fans of this sport can already buy tickets for the semifinals and finals. Have you ever imagined swimming in a competition at Brazil’s most famous beach? In December, Copacabana Beach, a benchmark of Rio de Janeiro, receives once again the King and Queen of the Sea Circuit. This stage, which is the last one in the 2018 calendar, spans for two days. In the first day, December 22nd, competitions with amateurs are held. And on the 23rd, the Elite Challenge, when ten professional athletes face each other divided into mixed doubles to fight for the title. Over 4,000 athletes are expected. What child ever dreamed of going to a soccer school? Or maybe volleyball? Basketball? Now, what if the ball is much smaller? Oh, what if I need a club? Is it hard to get? In Rio de Janeiro, more than 1,500 public school students have been given the opportunity to know, learn and play a sport that is not widespread in the country of football stars Pelé and Marta: golf. The project "Golfe que te quero Golfe nas Escolas" presents this new universe to the children at the Olympic Golf Course, in Barra da Tijuca, west zone of the city. A square just opposite one of the most famous beaches in Rio de Janeiro, the best skaters in the world, downright urban culture with music, gastronomy, art, movies, talks, fashion and much, much skateboarding. It is the STU Open, the biggest skateboarding event in Latin America, which will land at Praça Duó Square in Barra da Tijuca, from November 14th to 18th. With it, the 2018 edition of the competition brings 152 skaters, men and women from Brazil and the world, in the Park and Street categories. Rio de Janeiro has been elected for the fourth consecutive time as South America’s leading sports tourism destination in the 25th edition of the World Travel Awards (WTA), known as the Tourism Oscars. The event that took place in Guayaquil, Ecuador, in early September, gathered the most prominent names of the travel and tourism industry. The city overcame Buenos Aires and San Carlos de Bariloche, in Argentina, Lima, in Peru, Santiago, in Chile, and São Paulo, also in Brazil. Imagine playing a soccer match at Maracanã? Or playing volleyball or basketball in the arena where Olympic champions disputed gold medals point by point. Sounds like a dream, right? But if golf is your sport of choice, playing a match with friends or even learning how to take your first shots in the same course as consecrated athletes is a reality within everyone’s reach. Open from Sunday to Sunday, Rio de Janeiro’s Olympic Golf Course is with arms open to welcome Rio residents and tourists. All you have to do is call and book your tee time.